As you may know, I've been trying to make more ethical choices with regards to my eating habits but what you don't know is that I've also been trying to make more ethical choices with my beauty and skincare . I heard about Love Lula through a blogger who writes about ethical fashion and beauty so I thought I'd give some of their products a try! Love Lula sells organic, vegan, and natural beauty products which must be ethically sourced. I used this gentle cleanser as a second cleanse at the end of the day to really clean my skin and leave it feeling fresh. It has peppermint & spearmint oils in it which give a really nice scent and work really well for acne prone skin. I also liked that it has natural, biodegradable foaming agents but didn't dry out my skin. I went for the Hydrate & Shine for dry and coloured hair. For some reason I thought these were going to take some getting used to, maybe leave my hair greasy - I don't know why… In any case, they didn't! In fact they left my hair feeling so smooth and nourished and it's looking really glossy. You also only need to use a small amount so they should go a long way which means more for your buck! I was pleasantly surprised with this mascara and liked that it created a more natural look. I went for the waterproof one and I have to say it did smudge a little bit under one eye but I was able to wipe it off easily and at the end of the day it removed really quickly as well. The applicator gets a little gloopy but for a natural mascara I think it's really good. This 100% organic beauty balm was one of the biggest surprises. I've seen a surge of beauty balms on my social media feeds but didn't really know what they were for. As it turns out, this one in particular can be used as a cleanser, exfoliator and moisturiser. I started using this as a first cleanse and now it is my only cleanse. It removes my make up and leaves my skin feeling soft and doesn't irritate my skin or clog my pores. 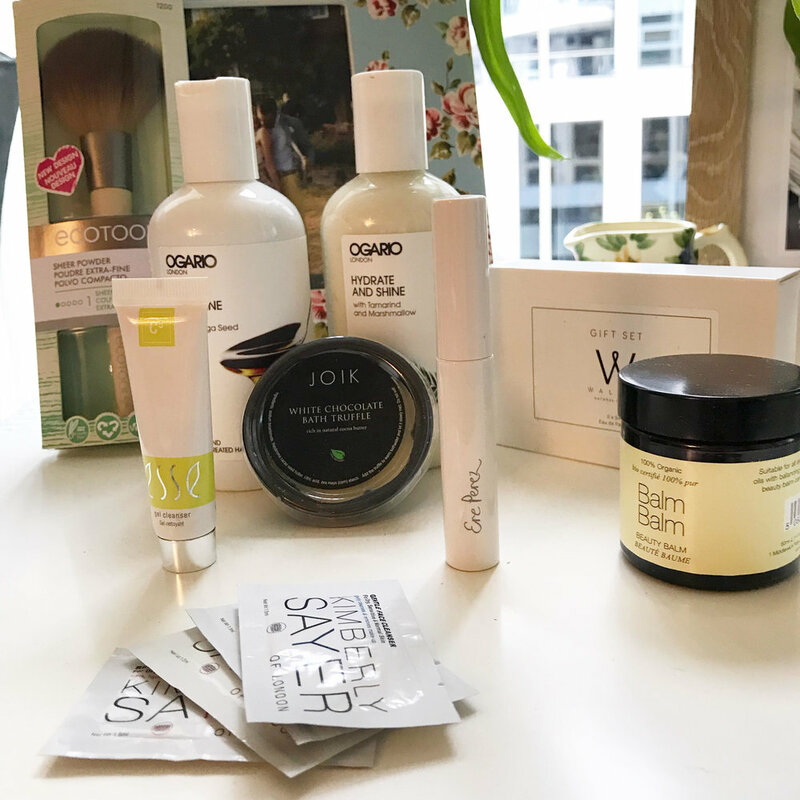 I would definitely purchase all of these products again but if you have any recommendations for me then please leave them in the comments below! !